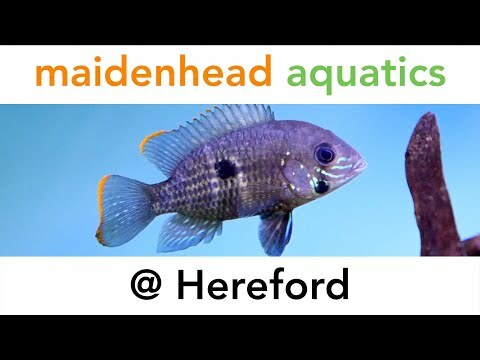 Our branch at Hereford is one of Maidenhead Aquatics' smaller stores but one that's nevertheless crammed full of rare and interesting fish as well as all of the more familiar species, all is displayed in nearly three hundred tanks. There's a full range of dry goods on offer from all of the top brands and a large outdoor area containing everything for the water gardener along with pond plants, coldwater fish and Koi. With all this and a wealth of friendly, expert advice available as well, you'l be glad you dropped in!